MOORESVILLE, N.C. — A church is North Carolina has decided to no longer allow a local chapter of the Boy Scouts of America to meet at its house of worship as the organization’s recent decision to allow the membership of girls who identify as boys seemed to be the last straw following its admittance of open homosexuals in 2013 and 2015. “For more than 10 years, Coddle Creek Associate Reformed Presbyterian Church has hosted and chartered Boy Scout and Cub Scout groups. However, due to decisions by the Boy Scouts of America (BSA) regarding matters of homosexuality and gender identity, the … church has determined that our church can no longer continue as partners … of BSA,” Andrew Shoger, the pastor of Coddle Creek, said in a statement on Wednesday. He outlined that the church cannot join hands with those whose policies are in contradiction to the Law of God. Coddle Creek will fulfill its contractual agreements to allow time for Troop 169 and Cub Scout Pack 169 to find a meeting place elsewhere, but will not renew the group sponsorship. As previously reported, the Boy Scouts announced in January that it had decided to change its policy on “transgender” membership after the mother of a nine-year-old girl filed a complaint with the New Jersey Division on Civil Rights over her child being released from the local Cub Scout pack since she is not a boy. 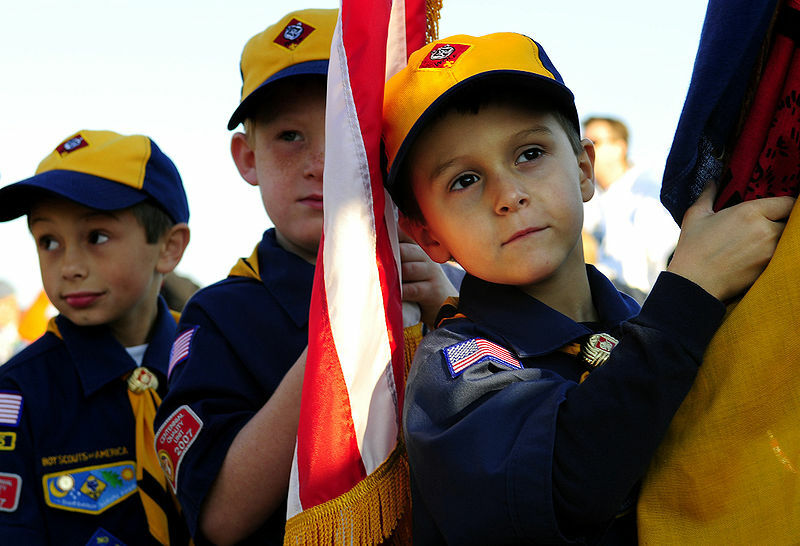 “For more than 100 years, the Boy Scouts of America, along with schools, youth sports and other youth organizations, have ultimately deferred to the information on an individual’s birth certificate to determine eligibility for our single-gender programs. However, that approach is no longer sufficient as communities and state laws are interpreting gender identity differently, and these laws vary widely from state to state,” the organization said in a statement on Jan. 30. “Starting today, we will accept and register youth in the Cub and Boy Scout programs based on the gender identity indicated on the application,” it wrote. The leadership of the Boy Scouts of America has likewise decided in recent years to alter its policies to allow boys who are openly homosexual to serve in the organization, as well as those who wish to serve as troop leaders. However, as previously reported, the Boy Scouts of America, founded in 1909, was created to mirror the British Boy Scouts, and was stated by some to be a Christian organization. John L. Alexander, one of the founders of the Boy Scouts of America, also expressed this sentiment in the 1911 handbook.